As is becoming a pattern, the new Star Wars franchise has once again devalued the importance of female representation, only to recapitulate after fan outcry. This time the controversy centered on toys, not casting. Disney’s acquisition of the Star Wars franchise inspired a whole new line of related merchandise in Disney Stores—and while the first wave of products included Luke Skywalker, Han Solo, Darth Vader, and Stormtrooper action figures, plus R2D2 and Chewbacca plushies, there wasn’t a single Princess Leia to be found. Spotting the obvious disparity, British film industry veteran Natalie Wreyford took to Twitter to ask the Disney Store why it was ignoring one of the franchise’s biggest characters. The store’s official Twitter account responded, “Currently, there are no plans for Leia products at Disney Store, Natalie. Have a wonderful day!” That kindly worded, yet dismissive tweet served as a cheerful reminder that Disney sees more marketing potential in stuffed Banthas than arguably the most recognizable female figure in sci-fi history. 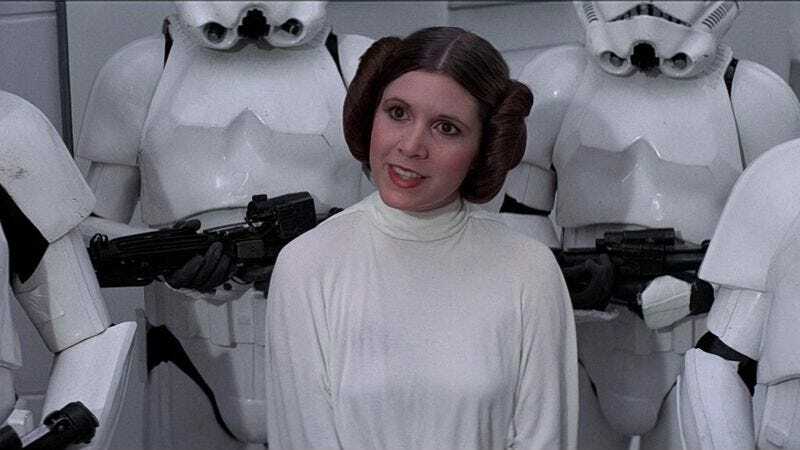 The response to Disney’s cheerful brush-off was swift, as several media outlets picked up the story, and the attendant hashtag, #WeWantLeia, quickly gained traction. Thanks to that backlash, the Disney Store has now changed its tune. Speaking to Time on Wednesday, a Disney spokeswoman explained, “The current assortment of Star Wars products at the Disney Store launched earlier this year, and is just the beginning of what is to come. We’re excited to be rolling out new products in the coming months, including several items that will feature Princess Leia, one of the most iconic characters in the Star Wars galaxy.” It’s a big win for fans, especially those who have waited to see Leia take her rightful place amongst her fellow Disney Princesses.